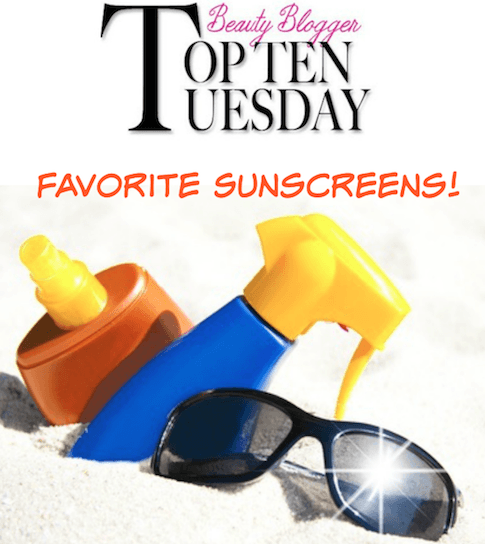 It’s “Top 10 Tuesday” and this week we’re taking a look at our Top 10 Sunscreens. For someone who covers sunscreens often, this was a challenge. So I rounded up a mixture of new and old favorites to come up with my list. 1. CHANEL UV Essentiel Complete Sunscreen UV Protection Anti-Pollution Broad Spectrum SPF 50…love this one for under makeup! 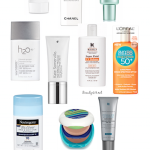 It’s so important to have options with sunscreens. 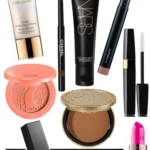 Some are great for face, some for body and I’m really liking the specialized options out now for eyes and lips. I’m a huge fan of Kiehl’s Clearly Corrective Dark Spot Solution (review), so when I saw the new Clearly Corrective Dark Circle Perfector SPF 30 for eyes, I was interested. This is a great all-around eye cream that brights and corrects dark circles, with the added benefit of UVA/UVB protection. Love! I’m always looking for all-mineral, non-chemical sunscreen options to share because I know so many people are interested in them and new Tarteguard 30 is a good one. The combination of Titanium Dioxide and Zinc Oxide provides excellent broad spectrum sun protection, and this formula absorbs rapidly without leaving a white cast. I love the elegant pump bottle that you can keep on your dresser…or throw into your beach bag! 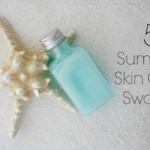 Because a spray-on sunscreen is so versatile, I’m recommending the Hampton Sun Broad Spectrum SPF 35 Continuous Mist Sunscreen. 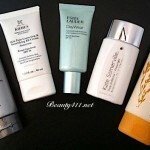 It’s oil-free and water resistant, has UVA/UVB protection and infused with antioxidants. EltaMD UV Clear Broad-Spectrum SPF 46 is now available in a tinted formula (similar to a medium foundation shade) and is a good choice for those with acne-prone, normal or combination skins. 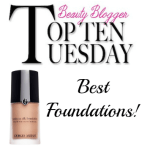 The formula contains 5% niacinamide, which helps reduce the appearance of blemishes, discoloration and photo-damage. Although the formula is comprised of Zinc Oxide 9%, I didn’t notice a whitish cast, making this light sunscreen a good choice for under makeup. EltaMD UV Clear is also fragrance-free, oil-free, paraben-free, sensitivity-free and noncomedogenic! Who doesn’t love the eos Smooth Sphere Lip Balms? So cute and portable! I’m happy to tell you about the new Lemon Drop SPF 15 formula for lips. Lip protection is often forgotten, but so important. I love the lemon taste and knowing that every time I apply it, I’m protecting myself. 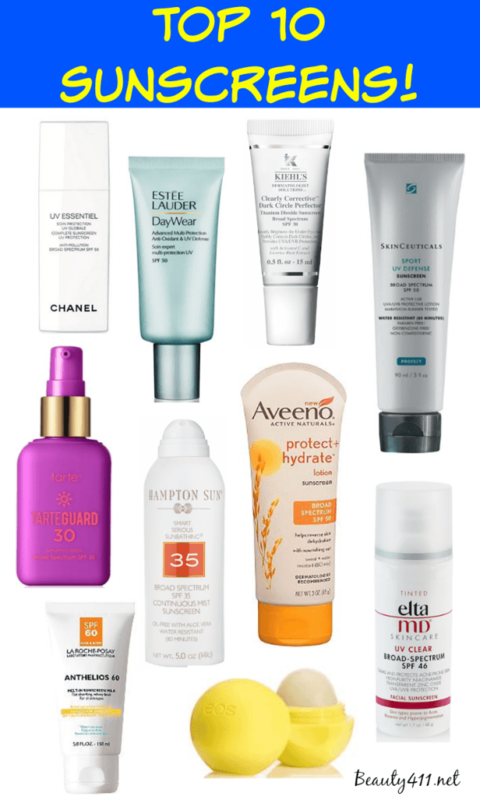 For more info on some of my tried and true sunscreen favorites, check out: Best Sunscreens for Wearing Under Makeup (must-reading!) and this season’s sunscreen update. 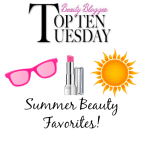 Check out the favorite sunscreens of today’s other participating beauty bloggers! Disclosure: Some press samples were provided by the brand/PR for editorial consideration, product testing, photography and review. Affiliate links have been used in the post. 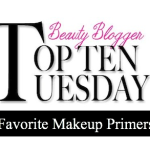 Top 10 Favorite Sunscreens for wearing under makeup! 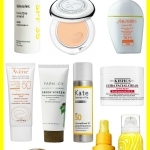 Sun safety spotlight: Sunscreen tips from Jaime King! I need that eye cream with SPF from Kiehl’s. I’ve been on the hunt for some (beside my trusty SKC) and they are SO HARD to find! I’m glad to read that the Elta MD is fragrance free. I read so many great things about the brand. I tried the Elta MD once and liked it–thanks for reminding me of it!